In case you have missed it, Ian ‘Lemmy’ Kilmister, died in December last year. There is now a petition on Change.org to have one of the newly discovered elements called ‘Lemmium’ in his honour. I’d be very happy if we could make that happen. First things first, I don’t know any Japanese. Neither speaking nor reading/writing. I have absolutely no understanding of the language. Still, I own a few Japanese books (with some more on their way to me) because they are guide books of my favourite 3DS games. Books like the one below are very detailed, very well made and can even help you if you have trouble with the language, because they clearly map the dungeons and provide the most important monster/enemy stats in Roman letters and Arabic numerals. 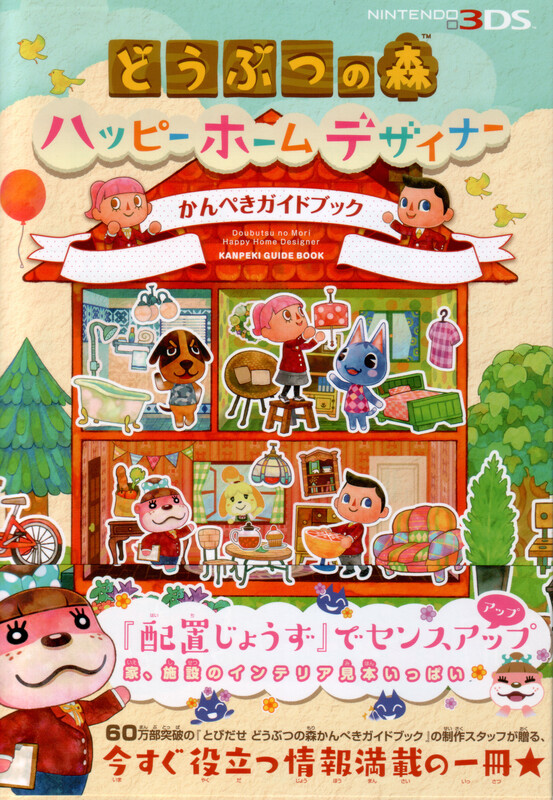 The book for Animal Crossing: Happy Home Designer is fine as well. With 700+ pages it not only lists all the Animal Crossing customers but also all the available items as well as their different colouring/modification options. What a great resource! The only downside of those books: They don’t come cheap and importing them from Japan doesn’t make them any less expensive. But for some games there isn’t any alternative if you don’t want to browse online all the time. Thursday’s update of the Nintendo eshop brought us the Legend of Legacy demo. Naturally, I had to get it to find out if a JRPG with the most uncreative and generic name possible could get my attention. After playing the demo for some time I can say that I really like it. 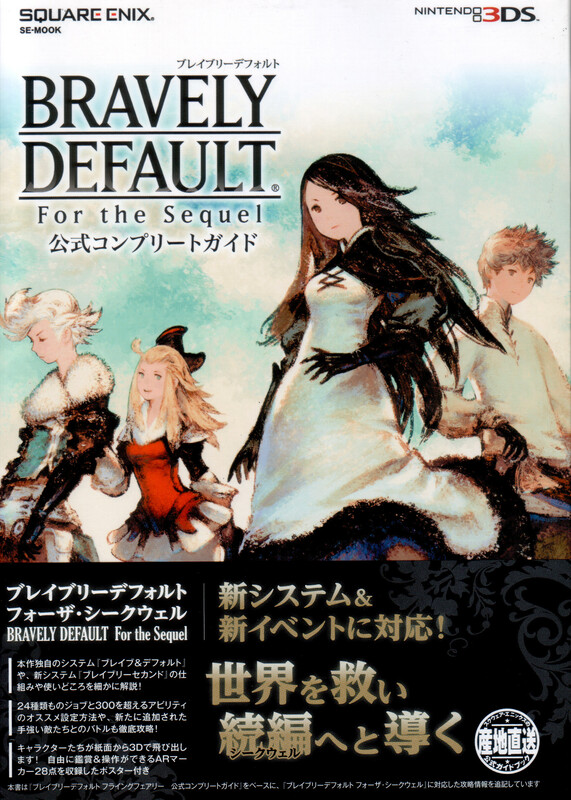 The artwork is nice, albeit a bit like the one in Bravely Default. The story is, who would have thought, rather generic, but the gameplay is solid. Especially the battle system plays well. It’s turn-based, but offers some finesse by giving your party members different roles during combat. So, thumbs up. The only problematic thing about Legend of Legacy is its release date: February 5. With Bravely Second scheduled for February 28 and Stella Glow for March 11, there is heavy competition. 2015’s worst game: Where in the world is Carmen Sandiego? 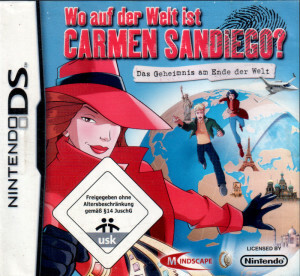 Well, I’m rather lucky not to have spent a lot on dull games, but there was one purchase I could have lived without: Where in the world is Carmen Sandiego? published for the Nintendo DS. It was a really good game because it made you look out for clues and at the same time taught you some basic geography. It was only a few bucks and there was even an instruction manual included. It had to be mine! Well, what a rather stupid thought. The game is bloody boring. Input is done with the stylus, only, and the one thing you have to do is mindlessly picking on the screen to either talk to someone, arrange something or pick the order of presented things that the game expects from you. Watching paint dry is more fun! Oh, BoxBoy 2 appeared out of nowhere! BoxBoy 2 has spontaneously appeared in the Japanese eshop. From the footage below, it will be a day 1 buy for me. Come on, bring it to the west! 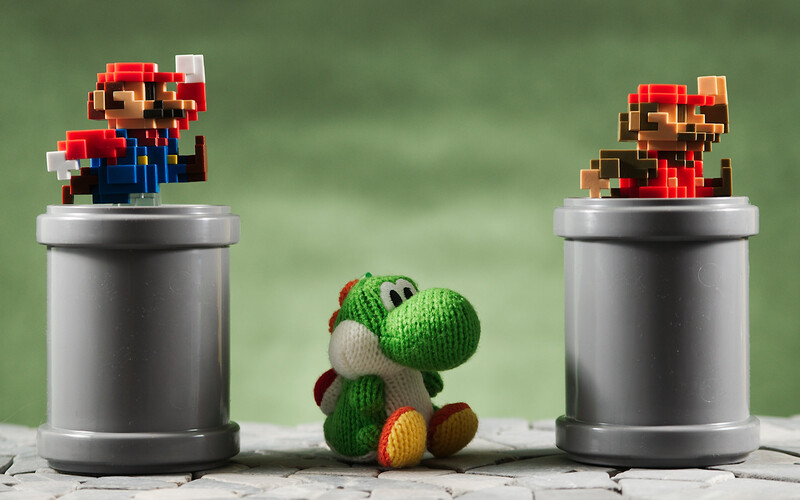 It looks cute and features collectible stuff. I must have it! As @katgonegamer so wonderfully started a new blog over there, I can’t help but comment on her first post. As I’ve just realized, I haven’t been playing video games for a rather long time. I fondly remember the games I played in my youth: Summer Games, Summer Games II, Winter Games, Roland’s Rat Race, Ultima V, Bards Tale II, Space Taxi and quite a lot more. All of these I played on the C=64. I switched to a PC shortly before going to university and played a bit of Doom and Heretic. LaterI enjoyed Age of Empires and Age of Kings as well as Starcraft. Then my interest in games dwindled away for a long time and was only reawakened when my firstborn got a Nintendo 3DS XL for Christmas. Quite a long hiatus. That said, I have been playing on my Nintendo 3DS for well over a year and can’t imagine ever giving it up again.